The central bank didn’t say when it would file its appeal. Fed lawyer Kit Wheatley told Preska in a conference call today that she did not know how long it would take for the Fed board to search the New York Fed for records. The Fed’s lawyer went on to say that she did not know what records would fall under a “delegated function,” which would be a task assigned to the New York Fed. Preska scheduled another conference call for 2:30 p.m. today to discuss the schedule for a search of the New York Fed. The Fed has refused to name the financial firms it lent to or disclose the amounts or the assets put up as collateral under the emergency programs, saying disclosure might set off a run by depositors and unsettle shareholders. Bloomberg LP, the New York-based company majority-owned by Mayor Michael Bloomberg, sued on Nov. 7 under the Freedom of Information Act on behalf of its Bloomberg News unit. “Our argument is that the public interest in disclosure outweighs the banks’ interest in secrecy,” said Thomas Golden, a lawyer with New York-based Willkie Farr & Gallagher LLP who represents Bloomberg. Preska’s Aug. 24 ruling rejected the Fed’s argument that the records should remain private because they are trade secrets and would scare customers into pulling their deposits. “What has the Fed got to hide?” said Senator Bernie Sanders, a Vermont independent who sponsored a bill to require the Fed to submit to an audit by the Government Accountability Office. 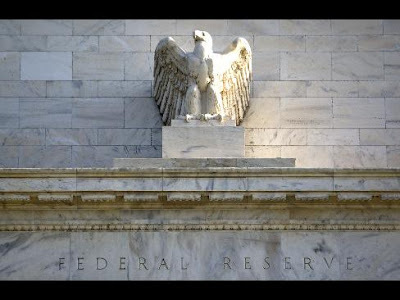 “The time has come for the Fed to stop stonewalling and hand this information over to the public,” he said in an e- mail. The Clearing House Association LLC, an industry-owned group in New York that processes payments between banks, filed a declaration that accompanied the request for a stay.